The National Educational Policy, 1986, recommended that state-level planning and coordination of Higher Education shall be done through councils of Higher Education and that the University Grants Commission (UGC) and these Councils will develop the coordinative method to keep a watch on standards. The UGC constituted a committee to make recommendations regarding setting up of State Councils of Higher Education as per the aforesaid National Policy. The said committee recommended that there is a pressing need for effective machinery for promotion and co-ordination of Higher Education at the state level and coordination of state level programs with those of the UGC. The UGC has laid down the guidelines for setting up State Councils of Higher Education as recommended by the said committee. The State Government has accordingly decided to fill the gap by constituting a State Council of Higher Education as recommended in the National Educational Policy of the Government of India and as recommended by the committee constituted by the UGC. Thus, the A P State Council of Higher Education (APSCHE) came into existence w.e.f. 20.05.1988 through Act 16 of 1988 to advise the Government in matters relating to Higher Education in the State and to oversee its development with perspective planning and for matters connected therewith and incidental thereto. 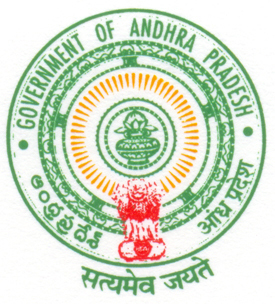 The Andhra Pradesh State Council of Higher Education, the first of its kind in the country, set up as per the recommendations of the National Education Policy 1986, is primarily a coordinating body between the University Grants Commission (UGC), the State Government and the Universities. It is the general duty of the Council to coordinate and determines standards in institutions of Higher Education, Research, Scientific and Technical Institutions in accordance with the guidelines issued by the University Grants Commission from time to time. The Act 16 of 1988 envisages three distinct functions (a) Planning and Coordination, (b) Academic Functions and (c) Advisory Functions.